This week we be continuing our discussion of worm growth and development – rather than getting into discussing various food materials and how they can promote growth (as promised at the end of our last newsletter), I’ve decided to start with a look at the idea of worm food ‘quality’ and how it can affect growth. This will hopefully help to provide something of an overview before we get into the various types of worm food. In general, earthworms (including the composting species) can obtain nutrition from a very wide range of organic materials. This serves them very well, allowing them to take advantage of much lower quality materials during food shortages without starving to death. If you want to test this out for yourself simply set up a worm bin with a small amount of food waste and lots of ‘bedding’ materials, and then let it sit for a month or two without any further additions. What you will almost certainly find is that once the worms have consumed the primary food source, they will then completely consume the bedding as well. 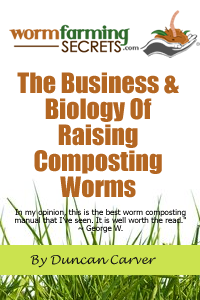 I should mention that the term bedding is actually a bit of a misnomer anyway, since these carbon-rich materials are actually long-term food sources – even when other materials (more commonly thought of as the ‘worm food’) are continually added to a vermicomposting system. All that being said, there is a big difference between managing to stay alive and optimal growth. When it comes down to it, the amount of food available and (more importantly) the ‘QUALITY’ of the food available can have a huge impact on growth rates. One of the key components of a ‘quality’ food material is nitrogen. In general, organic materials that contain more nitrogen will tend to promote faster and more growth than those materials with lower N content. According to Neuhauser et al. (1980), foods with a carbon-to-nitrogen ratio in the range of 15:1 to 35:1 promoted the maximum weight gain in Red Worms (Eisenia fetida). It makes sense that this would be the case since nitrogen is a primary component of amino acids (and thus proteins) – the vitally important ‘building blocks’ of life as we know it. It’s important to mention that the ‘quality’ of the food relates to more than just the nitrogen content (and overal nutritional value) of a particular material however. It has been shown that particle size can also have a significant impact on growth. In the Neuhauser et al. study mentioned above it was found that the addition of rice hulls as a food item resulted in very little increase in worm biomass when added in their whole form. When the hulls were ground down to particles less than 0.5 mm before being added, the biomass of the worms increased significantly and in direct proportion to the quantity of the material added. Similarly, Bostrom and Lofs-Holmin (1986) found that worms fed barley straw ground to less than 0.2 mm gained more than twice the amount of weight as those fed straw with a particle size range of between 0.2 and 1 mm! – such as a heap of maple leaves – can be increased exponentially simply by cutting that material into smaller pieces. According to Edwards and Fletcher (1988), of the various major groups of microorganisms, bacteria are of minor importance, algae are moderately important, while fungi and protozoans are the most important food organisms for earthworms. Just based on size alone this seems to make sense, since fungi and protozoans will tend to provide more ‘bang for the buck’ due to their larger size. In the case of Eisenia fetida (and likely other composting worms), it seems that protozoans are even more important than in the diet of most soil-dwelling worms. Miles (1963) tested this out by adding fungi, bacteria and protozoans in varying proportions to systems containing Red Worms. It was found that even in systems inoculated with both fungi and bacteria, the worms only reached sexual maturity if protozoans were also present. In case you are wondering what a ‘protozoan’ is – try remembering back to high school science class when you looked at pond water under the microscope. They were the larger single-celled organisms, such as parameciums and amoebas that were so much fun to watch (ok, maybe it was just me). Unless you were using a very powerful microscope, you likely couldn’t even see bacteria at all (just to give you some perspective on the size difference). I should mention that the ‘quality’ of a given food also relates to the degradability of the material. Last week (in one of my short response answers) I mentioned that peanut shells are reported to have a favourable C:N ratio (~ 35:1), but (also as mentioned) that doesn’t automatically make them a prime food for worms. The structure of peanut shells is very tough and fibrous, thus making them more resistant to microbial colonization and decomposition. Grinding would of course make a significant difference, but this material would still take longer to break down – and thus be more difficult for worms to derive nutrition from – than some other materials with a comparable C:N. Just something to keep in mind when considering potential worm foods. Ok – that should hopefully provide you with enough to chew on (haha) this week. 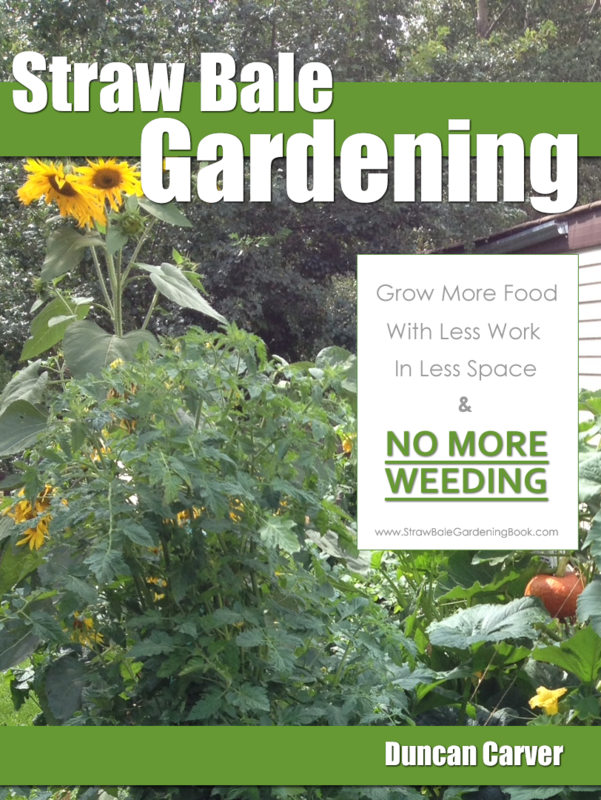 Next week we’ll definitely start discussing specific types of worm food (and their impact on growth) in more detail.